Dr. Carlos Burnett a premier plastic surgeon and founder of Burnett Plastic Surgery specializing in dealing with patients who have skin and body characteristics unique to their race joins eHealth Radio and the Plastic Surgery Information Channel. What should African Americans look for when deciding on what procedures would be best for them? What should patients in general look for when choosing the surgeon, What questions should they ask, What credentials, What experience should they look for? What are the most popular procedures – non-invasive and invasive- amongst African American Women? Are there any new products or procedure that you see in high volume? Are there any seasonal consideration patients should take into account when considering certain surgeries? Burnett’s Plastic Surgery has been an established and well-reputed practice in Union County for over a decade. Dr. Burnett is a Board Certified surgeon by the American Board of Plastic Surgery, a fellow of The American College of Surgeons. 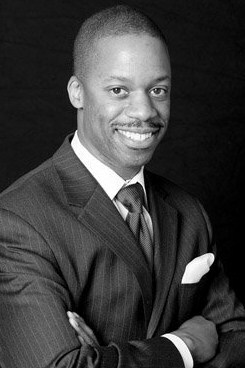 Dr. Burnett specializes in treating patients who have skin and body characteristics that are unique to their race. 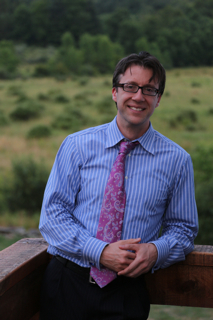 Dr. Burnett attended medical school at NYU’s School of Medicine. He completed his residency as Chief Resident at the University of Medicine and Dentistry of New Jersey. He has completed advanced Fellowship training at the University of Southern California School of Medicine. 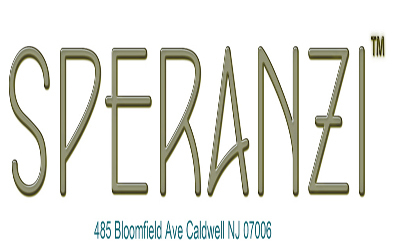 Yolanda Russo, owner & esthetician at Speranzi Facial Spa Skin Wellness Clinic delivers natural and botanical based facials that are not only healthy but give their clients immediate face lifting results. Yolanda joins eHealth Radio and the Skin Care Channel to talk about how you can slow down aging with facials. Why do you want to teach women the face lift massage and other home remedies? Does this, what you teach eliminate the need for facials? Can you really get rid of the frown lines naturally? So far only botox shows temporary improvement. Can you get rid of double chin naturally? How does anyone look 10 years younger in just 4 weeks? For over a decade Yolanda Russo, owner & esthetician at Speranzi Facial Spa delivers natural and botanical based facials that are not only healthy but give our clients immediate face lifting results. At Speranzi (speranza latin word for ‘hope”) we don’t use products that contain any synthetic preservatives, our skin care products are enhanced with hi performing antioxidants such as japanese green tea, CoQ10, reservatol, and peptides. Hypoallergenic and water based to absorb quickly and efficiently. Yolanda believes in natural, toxins free world. Dr. Bassam Damaj, the President and CEO, and a member of the Board of Directors of Innovus Pharmaceuticals joins eHealth Radio and the Health Care Channel. (OTCBB: INNV). Headquartered in La Jolla, CA, Innovus Pharma is an emerging pharmaceutical company that develops, in-licenses, acquires and markets proprietary pharmaceutical products with unique packaging and presentation for better patient compliance and results. As CEO of Innovus Pharma, what opportunities do you see for the company? What is your strategy for growing the company? Innovus Pharma is focusing strongly on international markets. Why did you decide on this course of action? What are your core products and why did you select them? Your company has products for treating arthritis, psoriasis, and other skin conditions. What advice would you give to those who must cope with ongoing conditions that may be treated, but not cured? What advice would you give to our listeners to improve in some area of their health? Before joining Innovus Pharma, Dr. Damaj served as President and Chief Executive Officer of Apricus Biosciences, Inc., (NASDAQ: APRI) from December 2009 until November 2012. At Apricus Bio, Dr. Damaj was responsible for the approval of its lead drug Vitaros, a treatment for erectile dysfunction. Dr. Damaj also signed multimillion dollar partnerships between Apricus Bio and leading pharmaceutical companies such as Abbott, Novartis-Sandoz and Takeda. Before Apricus Bio, Dr. Damaj was a co-founder of Bio-Quant, Inc. and served as the Chief Executive Officer and Chief Scientific Officer and a Director of Bio-Quant's board of directors from its inception in June 2000 until its acquisition by Apricus Biosciences in June 2011. In addition, Dr. Damaj was the founder, Chairman, President & Chief Executive Officer of R&D Healthcare, and the co-founder of Celltek Biotechnologies. 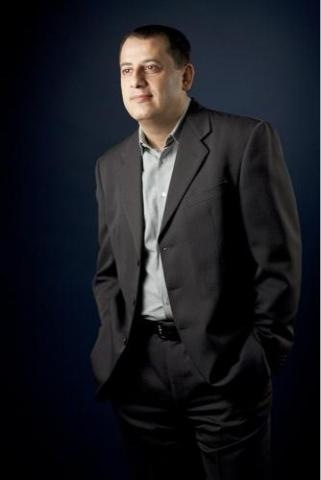 He also served as a Director of the Board of Directors at CreAgri, Inc. and was Member of Scientific Advisory Board of MicroIslet, Inc.
Dr. Damaj is the author of the Immunological Reagents and Solutions reference book, the inventor of many patents and author of numerous peer reviewed scientific publications. Dr. Damaj won a U.S. Congressional award for the Anthrax Multiplex Diagnostic Test in 2003. Dr. Damaj holds a Ph.D. degree in Immunology/Microbiology from Laval University and completed a postdoctoral fellowship in molecular oncology from McGill University. Michael Huffman, Founder and CEO of Chi Innovations, makers of Chi Bar—the all-natural, organic, hand-crafted energy bar joins eHealth Radio. Why Chi? What’s behind the name? It sounds very Zen. What’s in every Chi Bar? Chi Bars come in a variety of flavors, right? How does it taste like? How is Chi Bar different from protein and energy bars out there? What are its benefits? Where can we buy these healthy, appetizing energy Chi Bars? Chi Bar™ is an all-natural, organic, gluten-free, hand-crafted, energy meal bar produced by Chi Innovations, LLC in Escondido, California. Established in 2010, Chi Innovations is on a mission to awaken the creative spirit by providing healthy solutions to promote wellbeing. Each Chi Bar is a symphony of color, taste and texture that offers a healthy, wholefoods solution to rejuvenate and Fuel Your Life. It is made to satisfy the whole body with a rich texture that makes eating healthy food a fun experience. Best of all, Chi Bar is easy to digest and provides the body with anti-oxidants, minerals, and vitamins naturally available in wholefoods. Currently, it comes in four delicious flavors: Berry Berry, Papaya Pineapple, Mango Ginger, and Cacoa Cherry and is available in select stores and grocery outlets nationwide. 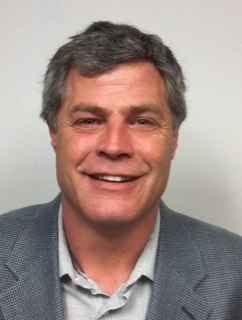 Keith Lisenbee, a licensed clinical social worker and is the CEO of Atlas Behavioral Health Consulting who has nineteen years of clinical and management experience in the behavioral health field joins eHealth Radio and the Mental Health Channel. Which one of the principles that you describe do you think is the most important? 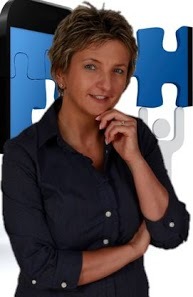 How do you assist organizations and business clients? How are the principles you describe differ between individuals and organizations? 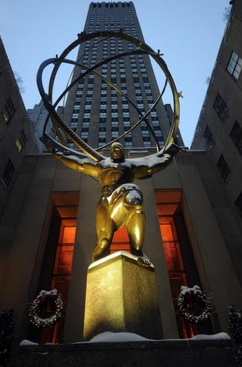 What makes Atlas Behavioral Health Consulting different from everyone else? How does one contact Atlas to get started? Keith Lisenbee currently provides consultation services to individuals and businesses in order to assist them in developing clear, rational, assertive, and progressive strategies to move themselves or their business into a position where they can prevail during challenging times. He utilizes sound business principles that applied to the behavioral health care setting provides the road map to move the organization in a forward direction. This direction is based on embracing the clear reality of their situation and making the rational moves needed to overcome enormous internal and external challenges. 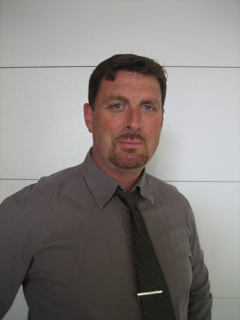 Keith has over nineteen years of clinical experience and over ten years of management experience in the behavioral health services related field. He has developed, implemented, and supervised adult behavioral health service programs and services including Assertive Community Treatment (ACT), Crisis Stabilization, Medical Detoxification, Emergency/Crisis, Forensics, and Counseling/Psychotherapy Services. He has also developed, implemented, and supervised children's behavioral health services including therapeutic day treatment, Emergency/Crisis, Forensics, Intensive In-Home, Case Management/Care Coordination, and Counseling/Psychotherapy Services. Ryan Mason, Co-Founder of ThéBϋ Kombucha organic tea, the world's best tasting kombucha joins eHealth Radio. TheBϋ Kombucha and Makana Beverages were born in Hawai’i in 2010, founded by three surfing entrepreneurs who decided to create a unique and healthy kombucha that tastes as good as it makes one feel. 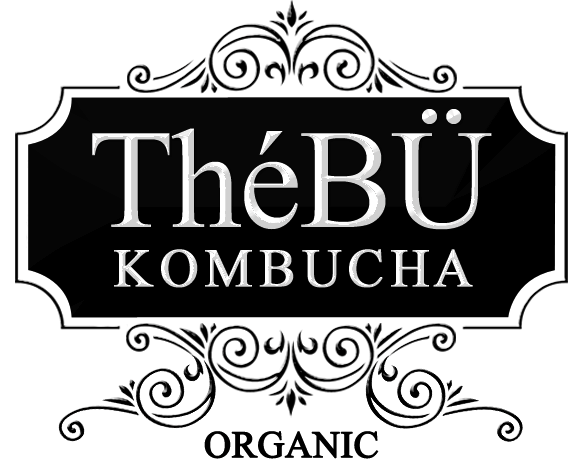 What was the inspiration behind your being involved with ThéBϋ Kombucha organic tea? Why should one drink ThéBÜ? Does ThéBÜ contain caffeine or alcohol? In addition to its naturally occurring probiotics, TheBϋ Kombucha uses a unique probiotic strain designed by nature to survive and thrive in the intestines to help support the digestive system. With only 28 calories and 3g of sugar per serving, TheBϋ Kombucha is the perfect and healthy beverage in four delicious, all-natural flavors: Melon, Tropical, Tangerine, and Lavender. TheBϋ Kombucha is available in select health food stores nationwide, including Bristol Farms, Lassens, New Frontiers, Mother’s, Market of Choice, Better Health Markets, United Markets, Busch’s Markets, and numerous local co-ops nationwide. Rhonda Williams who is a registered nurse with more than 20 years experience and now the founder of Spoiled Naturally – natural bath and body products joins eHealth Radio. Her quest is to use her leadership experience to work across industries to help individuals, executives and teams transition to living a healthy, balanced lifestyle. On your website you refer to a Spoiled Naturally lifestyle…what is a Spoiled Naturally lifestyle? Why is finding work/life balance so important? Work life balance seems difficult to achieve. What are the top 2 recommendations you can share with our listeners for finding work/life balance? How do your products contribute to this balance and are there any other health benefits derived from using these products? What are some of your most popular products and fragrances? 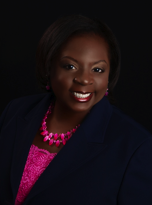 Rhonda Williams is a dynamic entrepreneur, author, and speaker. With nearly two decades of experience in the post-acute healthcare sector, Rhonda now uses her leadership experience to work across industries to help executives, teams and other professionals transition to living a healthy, balanced lifestyle. Using her own life as a petri dish, Rhonda provides a walking testimonial for how purposefully approaching challenges (both personally and professionally) can be the springboard for your next success. Friends and family often compliment her willingness to take on tough challenges while maintaining focus, compassion and a healthy optimism and inspiring others to do the same. Her professional experience includes executive level roles as Chief Nursing Officer, Chief Clinical Officer and Administrator/Chief Executive Officer. During her time as an executive leader, her accomplishments include staff retention, measurable quality improvements and improved patient experiences. Operational accomplishments include significant improvements in revenue and new program development such as opening high-observation units, a pediatric long-term care hospital unit and a long-term acute care emergency department. Rhonda’s executive experience and can-do approach have most recently joined forces to help her in the launch of her most recent initiative Spoiled Naturally. At Spoiled Naturally, Rhonda focuses on helping people with hectic schedules discover alternative ways to spoil themselves naturally on a regular basis. Her products and services help people embrace the spoiled naturally lifestyle. Rhonda understands that being spoiled naturally is not just about a product but it’s about transforming a lifestyle, even when things are busy or hectic. Quality skin care, finding a little me-time, reducing stress and work life balance are all elements of a spoiled naturally lifestyle. As a busy executive, she realized that she was caring for everyone and everything else except herself. The result of her journey of self-discovery is our line of luxury natural skin care products that help to promote healthy skin while minimizing your exposure to potentially harmful chemicals. Her hand-made natural products pamper the skin and delight the senses with fabulous fragrance but more importantly they help people live the Spoiled Naturally lifestyle every day! Dr. Erica Kosal who is an extreme stress expert and hidden strength champion, who writes and speaks on game plans for bouncing back from adversity joins eHealth Radio and the Stress Management Channel. 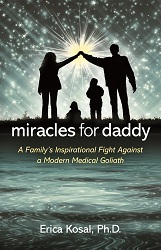 She has just released her first book Miracles for Daddy, based on her husband's illness and her family's story of resilience. You have battled a lot over the last several years, yet you continue to thrive when others in your same situation don’t necessarily fare as well. What is the secret to maintaining a “positive purposefulness” as you call it? We all know that stress can have major adverse effects on your health, but you have argued stress can be useful as well. Please explain what you mean by this. How do you ensure that stress does not take over your life? Give the listeners one practical tip that you have found most useful. Kids often experience stress as well, but may express it in different ways. How can you help identify stress in children and how can you help kids deal with such stress? In your situation, there is a lot to juggle – full-time job, raising children, helping to care for your chronically ill husband. What is your advice to someone who might also be juggling a full plate, with the stress that comes with it? Dr. Erica Kosal is an extreme stress expert and hidden strength champion, who writes and speaks on game plans for bouncing back from adversity. After Erica’s husband received a grave health diagnosis several years, she learned to take the reins and guide her future and her family’s future. While navigating the healthcare system, financial strains, and daily uncertainties, this wife, mother of two and full-time professor came to realize the power of belief and resolve in directing her family’s future. Dr. Kosal is the author of the book Miracles for Daddy: A Family’s Inspirational Fight against a Modern Medical Goliath, writes a blog titled Traveling Troubled Times, maintains the website Bounce to Resilience, and is an expert panelist for the magazines CardioLogix and KidzEdge. She is also a guest writer for various online sites and magazines. Dr. Joshua Trutt, M.D., of the PhysioAge Medical Group, a practice that remains at the cutting-edge of the continuously emerging field of age management medicine focused on scientifically sound approaches to staying younger longer joins eHealth Radio. Could you tell us about age management? What brought you to the field, and your role in its development? Why is age management important? How can someone in their 50's incorporate this in their life? Is 60 too late? What are hormones and what do they do and how do hormones change as we get older? Please explain PhysioAge Systems and how it identifies how well you are aging? Ultimately, what's the goal of your practice? What are the benefits of hormone therapy and who should consider it? Joshua Trutt, M.D., is a member of PhysioAge Medical Group, a practice that remains at the cutting-edge of the continuously emerging field of age management medicine focused on scientifically sound approaches to staying younger longer. Dr. Trutt is a member of the Alpha Omega Alpha Medical Honor Society, and is board certified in emergency medicine. Since 2005 Dr. Trutt has been exclusively focused on anti-aging medicine and bioidentical hormone replacement therapy. Josh Trutt, M.D. is Board-certified in Emergency Medicine and a member of the Alpha Omega Alpha Medical Honor Society. He has practiced for 11 years in trauma centers and children's hospitals in New York and Austin, Texas, in third-world countries, and in disaster relief (Hurricane Katrina and the Thailand tsunami). Over that time he became increasingly motivated by a desire to not just treat heart attacks, strokes and cancer-but to prevent them from happening.After three years of reviewing the available literature on Age Management Medicine and nutraceuticals/supplements, he completed formal certification in Age Management Medicine through Cenegenics Education and Research Foundation. For more on Dr. Trutt click here.